We are still several months away from the 2015 edition of Tomorrowworld in Chattahoochee Hills, Georgia. But that hasn't stopped local residents from placing their properties on the market for festival-goers seeking a home away from home during the 3-day festival. Georgia Unfiltered has learned that homeowners living near Bouckaert's Farm, which hosts Tomorrowworld annually, are renting their places out for as little as $100/night. AirBnB, a website for people looking to find vacation rental homes, lists four properties minutes away from the festival site. 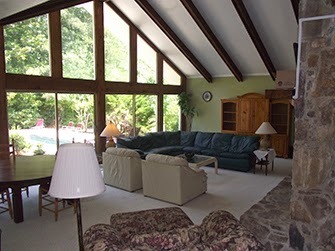 Another vacation rental website, VRBO.com, features more pricier homes. One 6,200 square foot property is going for between $1,030 and $1,475 per night. Other vacation rentals shown on VRBO.com are already booked during the week of Tomorrowworld. The prices on those properties ranged from $325 to $475. Tomorrowworld is scheduled for 25 September through 27 September 2015. Tickets are now on sale.